Glycolic Acid for celebrity perfect skin….ahem minus the photoshop wizard. Glycolic acid has the very desirable talent of “softening” fine lines (that is esthetician and nurse speak for: Don’t even think it’s going to eradicate ALL of those wrinkles). Sun damage and the faux mustache known as “melasma” is also nipped in the bud. This is done over a series of treatments, and I typically will recommend anywhere from 6-8 peels, spaced around 3-4 weeks apart with 40-60% glycolic acid. 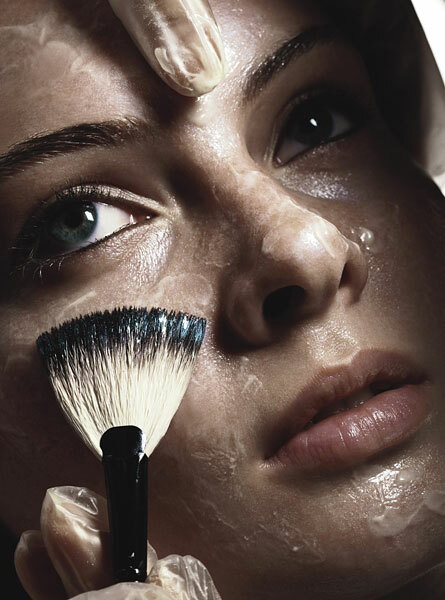 Chemical peeling of any type dissolves the desmosomes (sticky glue) that hold the skin cells together. These peels also strip lipids that make up the acid mantel that protects us from bacterial invasions and dry skin, so you must replace what you take away. Following a peel, a rich anti-inflammatory moisturizer should be part of your recovery with a healthy fat dollop of sunscreen. Stay off the actives that you have bought and use religiously because you are a very well-educated DermaDarling follower for 7-10 days (vitamin c, AHAs, retinol, and hydroquinone) . The peels range in price from $120- 250 each depending on your city. I would highly recommend getting a package of 6 to save some cash, since you know you are going to have to have more than one. Glycolic acid should be a considered addition to your bag of tricks for smooth gorgeous skin. Celebrities rumored to be fans of Glycolic acid: Cher, Janice Dickenson, Naomi Campbell. This entry was posted in Acne, anti-aging, beauty, chemical peel, Laser and medical esthetic training, skin care and tagged Alpha hydroxy acid, Anti-aging, beauty, Chemical peel, Cher, Elaine Sterling Institute, Esthetics, Facial rejuvenation, Glycolic acid, laser school, medical esthetics, Naomi Campbell, Resurfacing, Samantha Shepherd, Skin on October 12, 2011 by Derma Darling. Sign me up for free weightloss and anti-aging tips! © 2011 DermaDarling, LLC. All Rights Reserved. Copyright protected.